THURSDAY, Aug. 28, 2014 (HealthDay News) -- Having greater amounts of yellow pigment in your eyes could boost your ability to see distant objects in hazy conditions, a new study reports. In a laboratory experiment, University of Georgia researchers simulated hazy conditions in order to test the distance vision of people with different levels of yellow pigment (also called macular pigment) in their eyes. The volunteers had widely varying amounts of yellow pigment, which represents accumulations of the nutrients lutein and zeaxanthin, according to the researchers, led by Laura Fletcher of the University of Georgia, Athens. 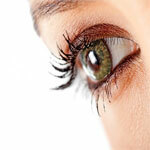 The study was published in the September issue of the journal Optometry and Vision Science. Those who had more yellow pigment were better able to see distant objects through haze. Those with the highest levels of yellow pigment could see through twice the amount of haze as those with the lowest levels, the investigators found. "All human eyes, and many animal eyes, contain an inert yellow pigment that is reported to be both protective and also slightly enhance vision, particularly in short wavelength (blue light) settings," Anthony Adams, editor-in-chief of Optometry and Vision Science, said in a journal news release. "The results suggest that people with high levels of yellow macular pigment may have some slight advantage in hazy and glare conditions," he added. The next step in this research would be to assess how different levels of yellow pigment affect vision in actual outdoor settings, the researchers said.